Its been a really hectic few weeks with shows and shoots, so our Shot of the Week feature has been neglected – but its back this week with (wedding) bells on! 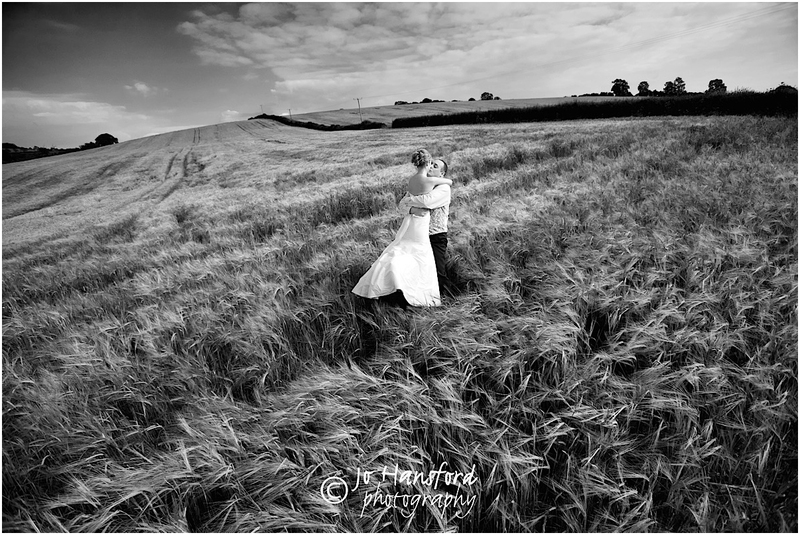 I love this shot because of the beautiful texture of the wheat bellowing in the wind – it feels as if you can touch it – combined with the sky and the unusual perspective on our lovely couple, Kim and Steve, which gives it a bit of drama. Steve spontaneously picked Kim up for a hug and kiss, and for me this image captures their happiness and joy at this moment. The sun shone for their day, the ceremony went perfectly, the guests were all enjoying the food and wine, and we managed to sneak away with them for 5 minutes to steal a few evening shots in this beautiful field. This shot was taken in 2011, at a venue we know well, Priston Mill & Barn bear Bath, but for me it still holds a timeless magic. If you’d like to see more of our wedding photography, head over to our wedding portfolio here – we’re taking bookings for 2017 now!